Storyboarding your Presentations and Websites has Never Been Easier! MatchWare's MindView is a comprehensive storyboarding software solution that lets you visualize and organize your presentations instantly. 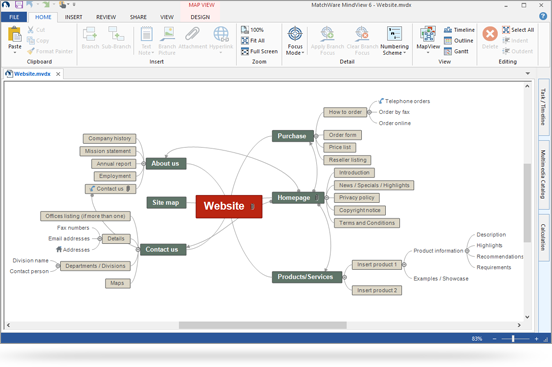 Based on Mind Mapping, MindView enables you to lay out all of the pages in your presentation, attach contents to each page, and then convert your storyboard to PowerPoint, HTML or Mediator with a single click of your mouse. No other storyboarding software is this fast and easy to use! Whether you're creating a PowerPoint presentation or developing a Website, storyboarding is an invaluable timesaver for creating standout projects. 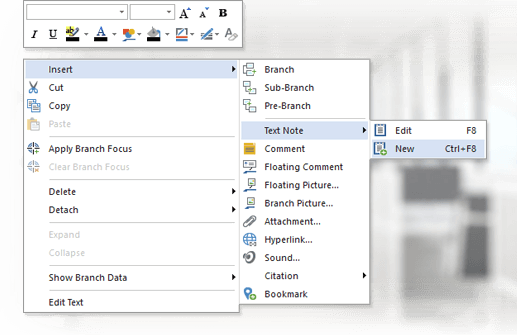 MindView storyboard software lets you use Mind Mapping to brainstorm and storyboard your ideas, then simply drag and drop your pages into a logical order. Elaborate on each page of your storyboard by inserting notes and hyperlinks and attaching any number of multimedia files, instantly turning your storyboard into an interactive map, ready to be presented or exported! 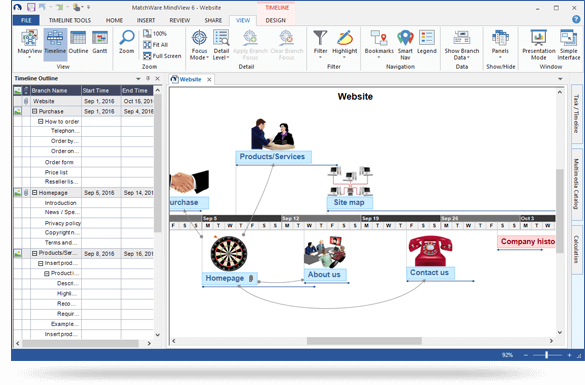 As a unique storyboarding program, MindView storyboard software enables you to instantly convert your Mind Maps to PowerPoint or Mediator presentations or websites. All notes and file attachments will be included and remain intact. 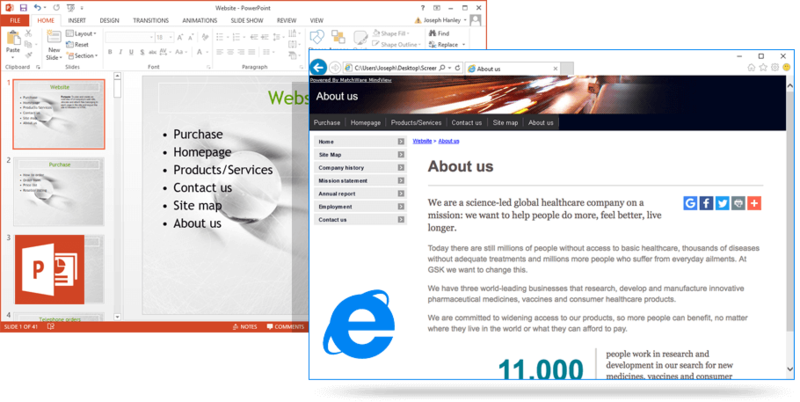 With several easy to use professional templates, your projects will get noticed! Try MindView's Powerful Storyboard Software Free! Once you've finalized your storyboard, MindView lets you add task information like start and end dates, required resources, etc., in the easy to understand Mind Map view. Use the timeline view as another way to illustrate your implementation plan. With MindView, you can instantly alternate between views to ensure that all participants grasp your ideas. 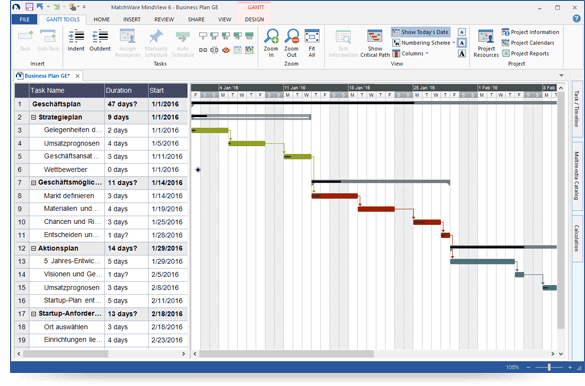 To fine-tune your plan, simply switch to the built-in Gantt view. Implementing a business plan has never been easier!